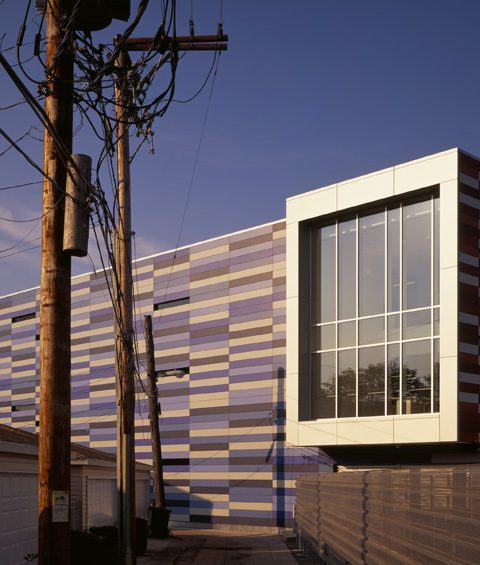 The Gary Comer Youth Center, located in one of Chicago's poorest neighborhoods, demonstrates a commitment to social progress in providing a constructive environment for area youths to spend their after-school hours. 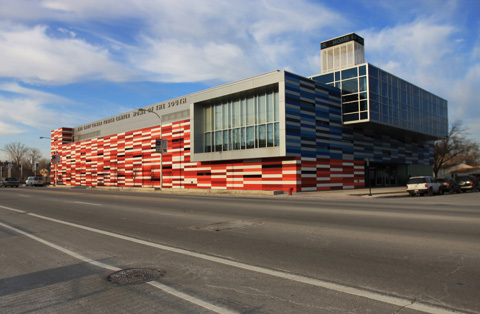 The center provides support for the programs of a 300-member drill team/performance group for children aged eight to eighteen, which performs in parades and on stage about 50 times per year, and provides space for various youth educational and recreational programs for disadvantaged children to better their chances of success in life. 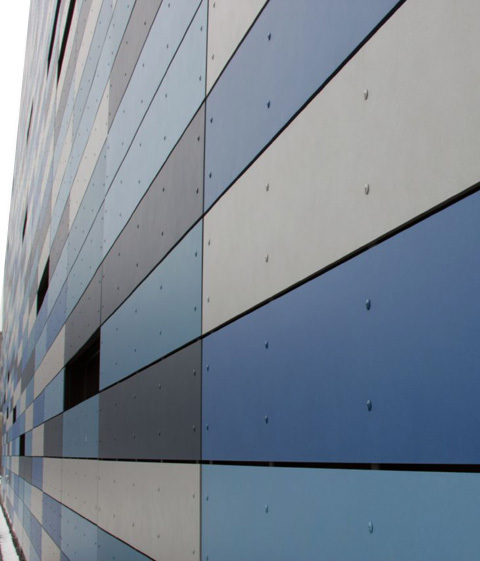 On the exterior, a rainscreen cladding system of brightly colored fiber cement panels by Eternit (Switzerland) speak to the center's youthful orientation and re-birth of a community. 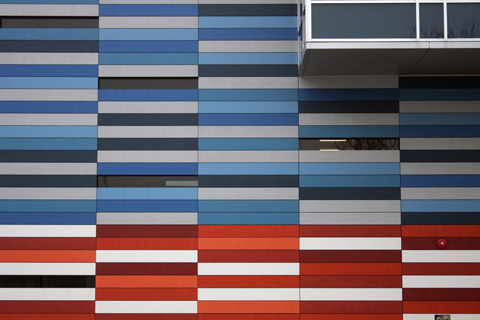 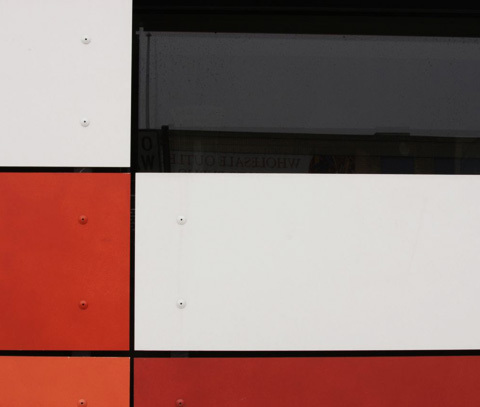 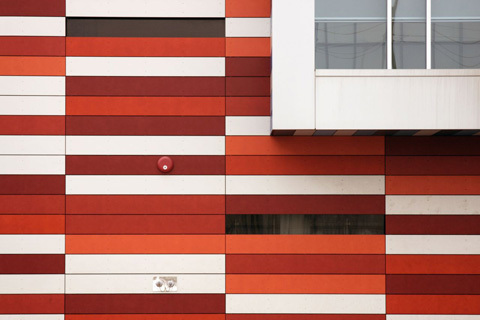 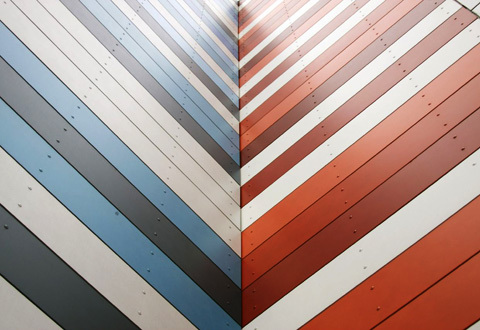 The cement board cladding panels are arranged in a seemingly random distribution pattern to animate the facade, and to allow panels to be replaced over time in response to damage or vandalism without drawing attention to their replacement.